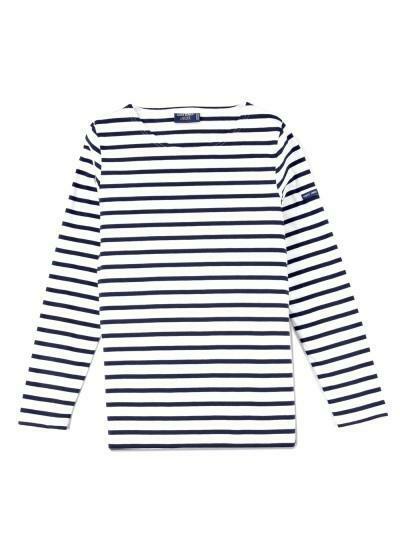 Whether you call it a Breton or a mariniere or a tee, this classic, boxy striped top has become as ubiquitous as the little black dress, and nearly as versatile. 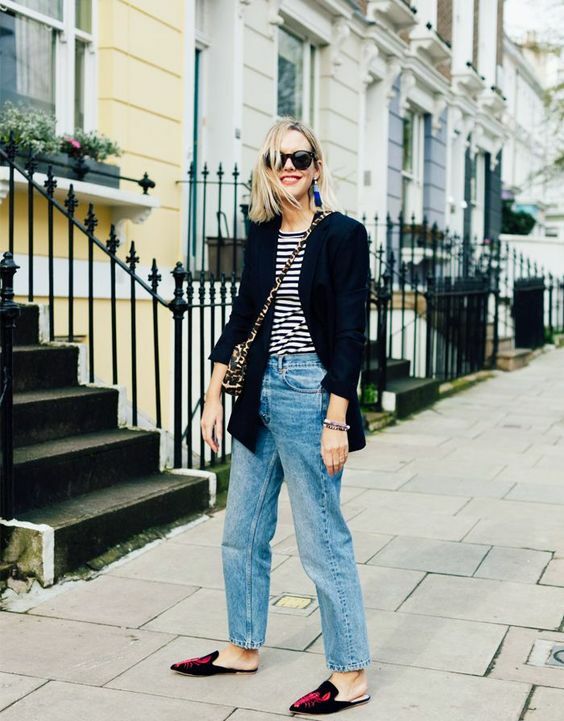 You can’t peruse Pinterest without spotting at least one blogger or celebrity wearing one, and with everything imaginable, from a sequin skirt to distressed denim. 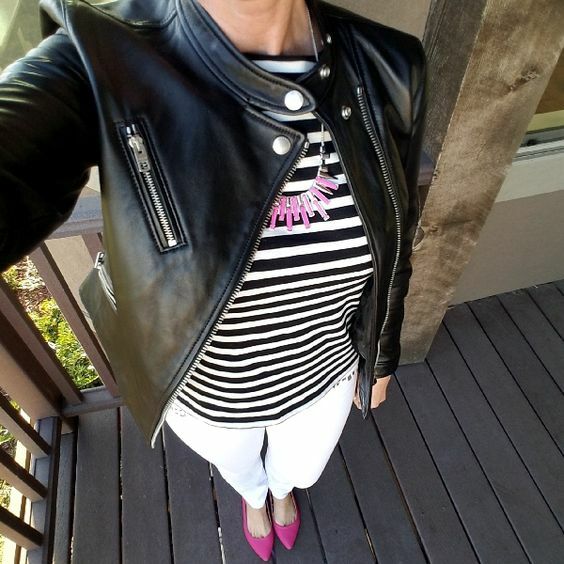 This is truly one of those items that works for every single woman, at every single age and every single body type (although a Style Dial 1 and a Style Dial 3 will want to add a long necklace). It’s truly universal. 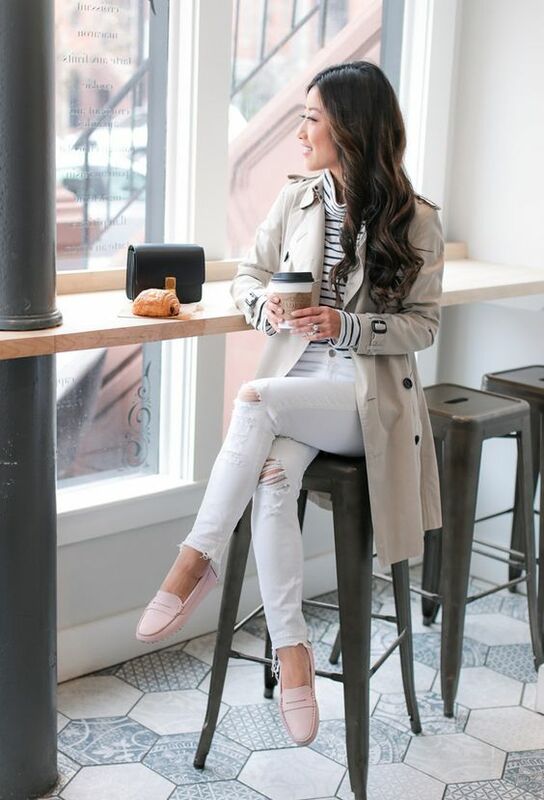 Here, some inspiration for styling the striped tee in your closet (or choosing one if you haven’t already). The St. James is the classic French fisherman style that started it all, but you’ll find high-end versions from practically everybody, and budget-friendly picks as well. 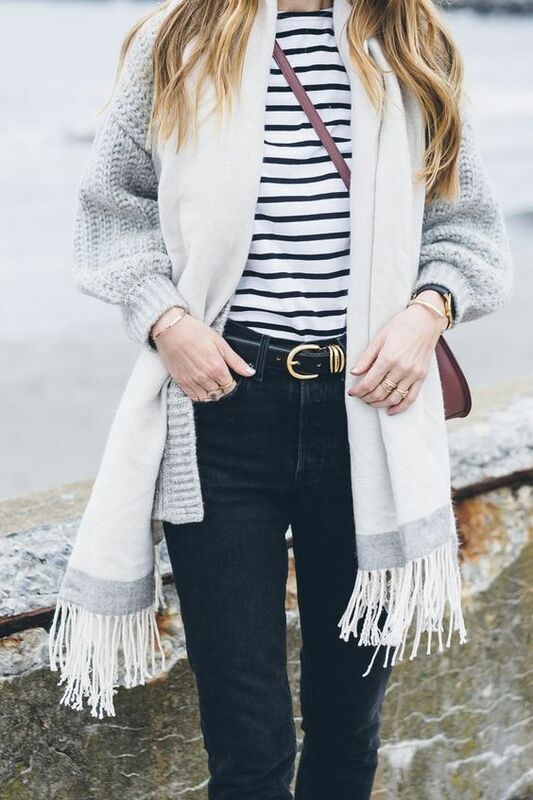 I hope you’re inspired to take your basic striped tee and recreate some of these cute outfit ideas! 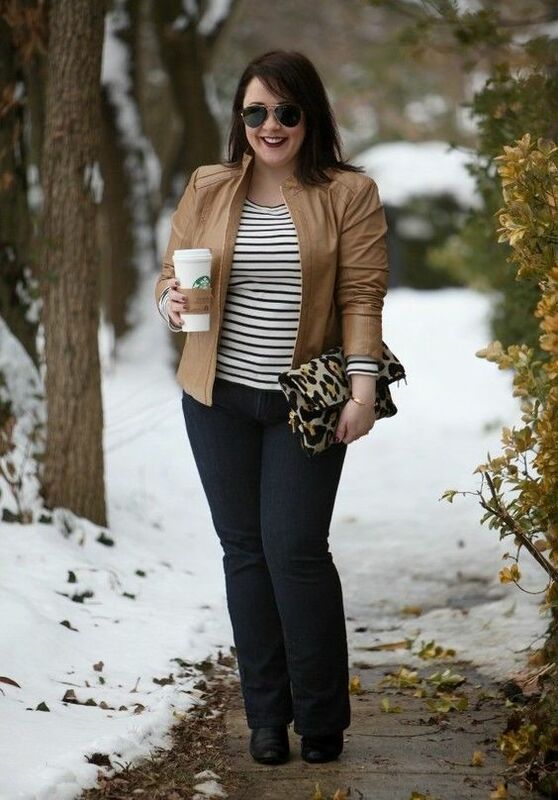 I love striped tees 🙂 that outfit halfway down with the camel jacket, dark jeans, and cheetah print clutch, and carrying the Starbucks cup (I think my favorite in another post also included a Starbucks cup… weird… I’m not even a Starbucks officianado!). SUPER chic!